3.Contact blade: Copper Alloy with gold plating 50u, the standard gold thickness 03U, 06u, 15u, 30u, 50u could be optional. 4. Housing Material: JapanTeijin PC, UL 94-V2, UL 94-V0 is available. 5. Blade Type: 2 prongs or 3 prongs optional. 5.1 E blade: 2 prongs, suitable stranded wire. 5.2 Y/Z blade: 3 prongs, Patent Blade, suitable for both solid and stranded wire. 6. Color: Transparent, Transparent color blue, red etc., or not transparent blue, red etc., 3 options. 7. Mechanical: Fully comply with FCC standard. 7.1 Cable to plug strength 25 POUND MIN. 7.2 Durability: mating cycle 750 operations. UL Applications: 250 VOLTS AC MAX, AT 2 AMPS. Dielectric Withstanding voltage: 500 VOLTS AC. Termination test: Resistance 20mΩ max after environmental testing. 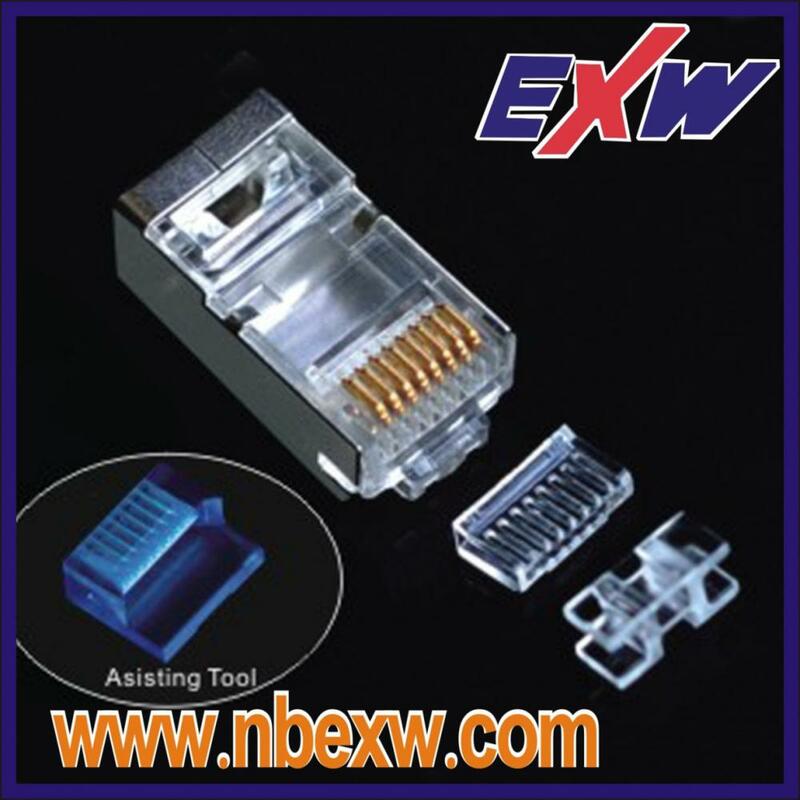 Looking for ideal RJ45 Lan Connector Manufacturer & supplier ? We have a wide selection at great prices to help you get creative. All the 110 Connector 1 Pair are quality guaranteed. We are China Origin Factory of RJ11 STP Connectors. If you have any question, please feel free to contact us.